This photo was taken standing with a young artist on a platform on a train heading into the Yukon in British Columbia. 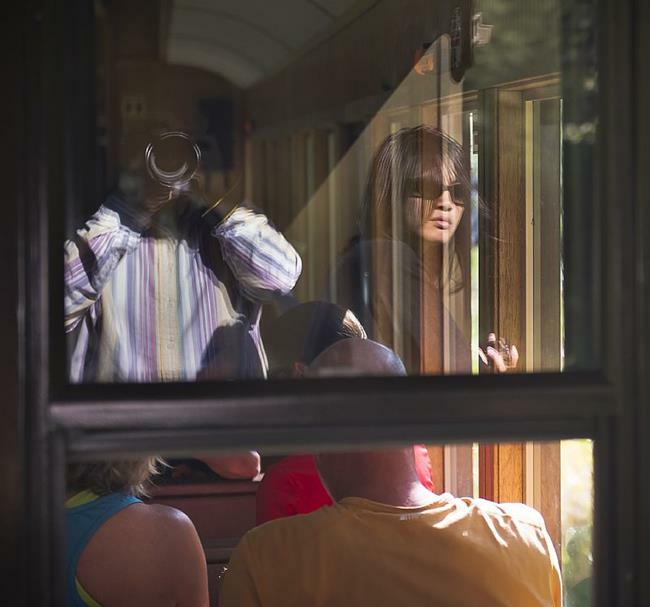 We were taking turns at the rail photographing the amazing landscape when I saw our reflection in the glass in front of me...Someone at the beginning, another towards the end. Instead of hunter I was a teacher...I find myself in my work and in most of my "self portraits" I am hidden in plain sight.